We at Pigeon Man understand today’s economic troubles. We also understand your home and or business are being ruined by pigeons destroying your property that can cost you up to thousands of dollars to repair. Many pest control companies charge hundreds even thousands of dollars to put up spikes, nets, hot foot and even electric shock wire. These work in limited areas but does not get rid of your problem just move the problem to other locations on your building or property. We actually capture the pigeons and remove them from your property for a lot less cost and much more effective. Then and only then do we recommend using spikes or wire jobs in limited locations where the birds may try to nest. Pigeon Man doesn't think pigeon was on the menu. 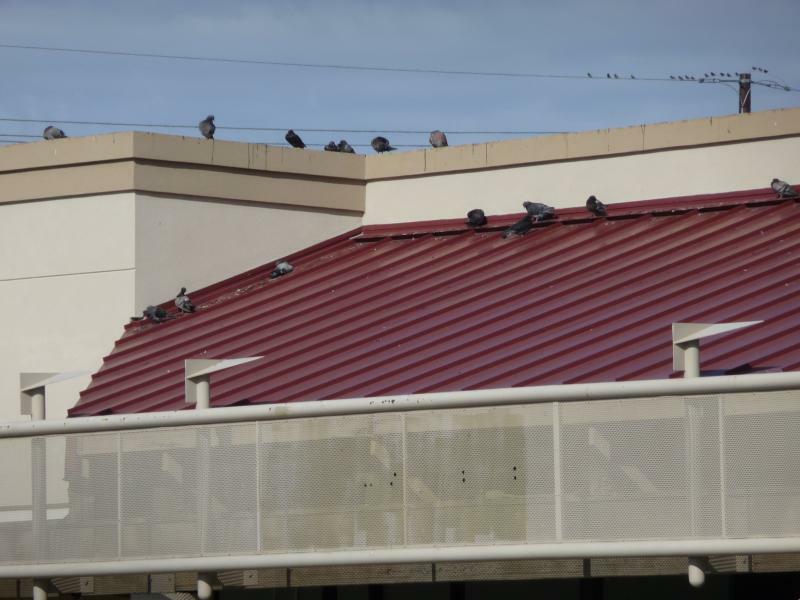 Have a pigeon problem at your restaurant or Mall, call Pigeon Man and he can help take pigeons off the menu. You're not going to get a lot of customers if your business looks like this! Call Pigeon Man, he can help!